AMDA | AMDA News - Announcing the AMDA Chorale! AMDA New York is pleased to welcome the newly-formed AMDA Chorale. 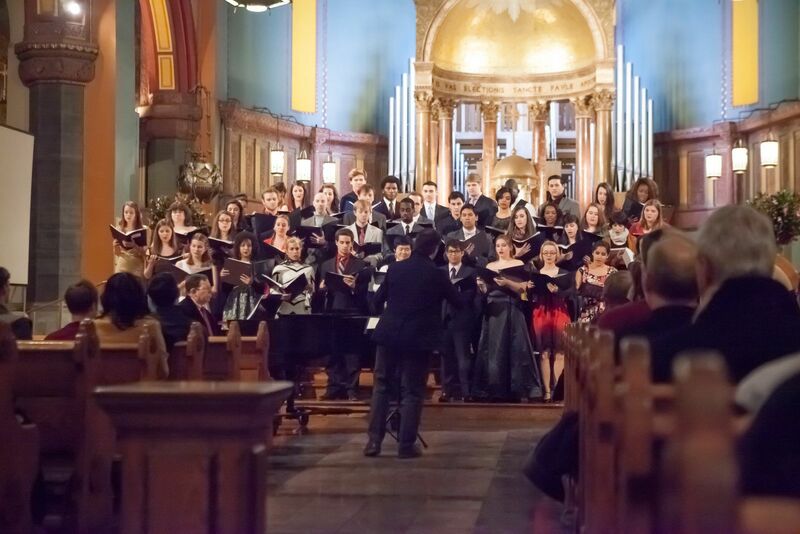 In a special holiday concert held on Monday, November 26th at the Church of St. Paul the Apostle, the 45-voice chorale participated in the Thirteenth Annual Winter's Eve Festival –New York City’s largest holiday festival! 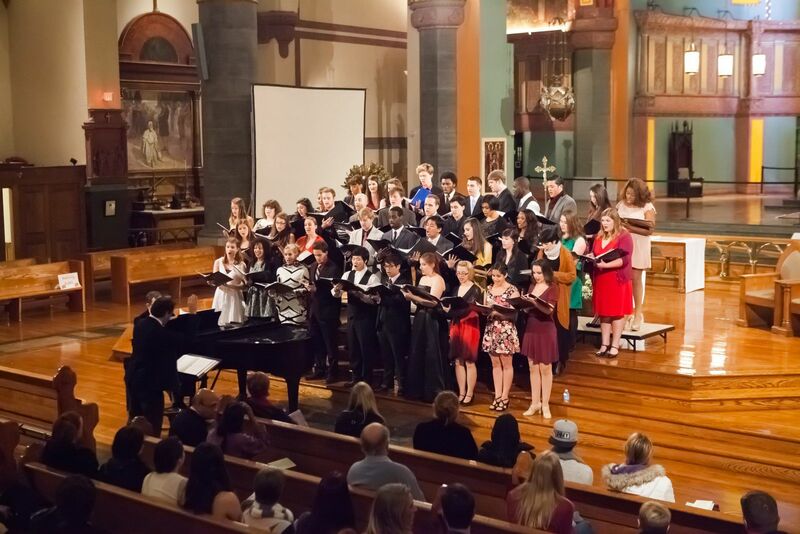 Long envisioned by David and Jan Martin, the AMDA Chorale is looking to continue developing and growing as it expands its styles and repertoire. On February 9th, The Chorale will be singing at theNew York graduation, holding auditions at the beginning of the new semester, and is in the planning stages for a spring 2013 concert. It is a very exciting time for this new group and for AMDA!